come with the joker manor. 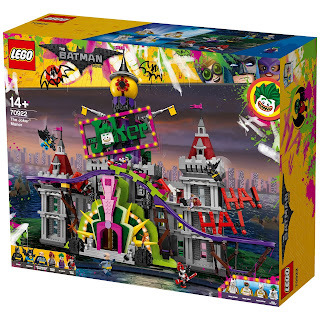 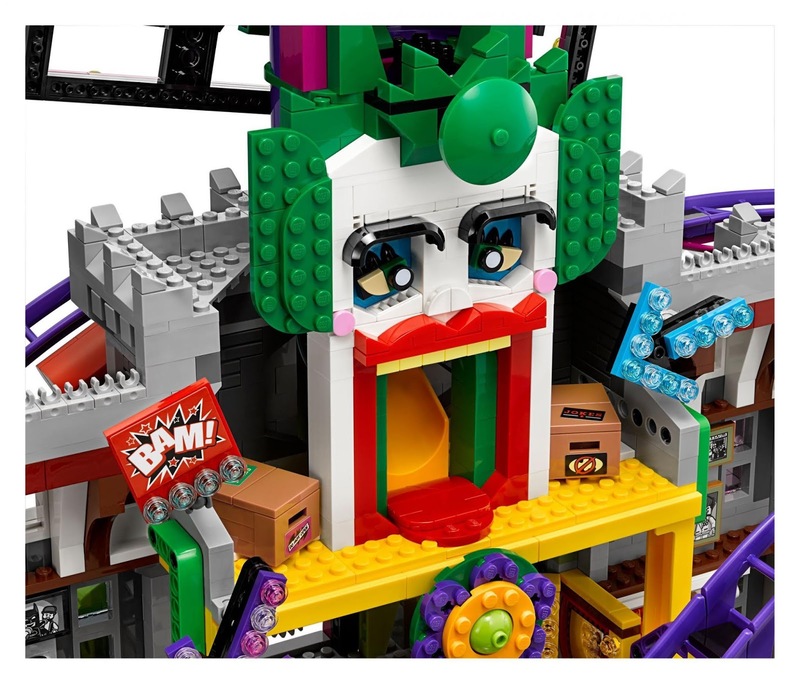 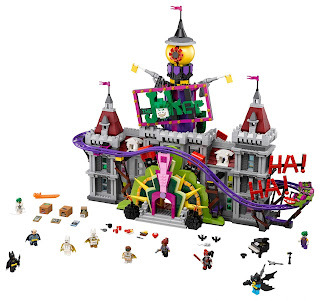 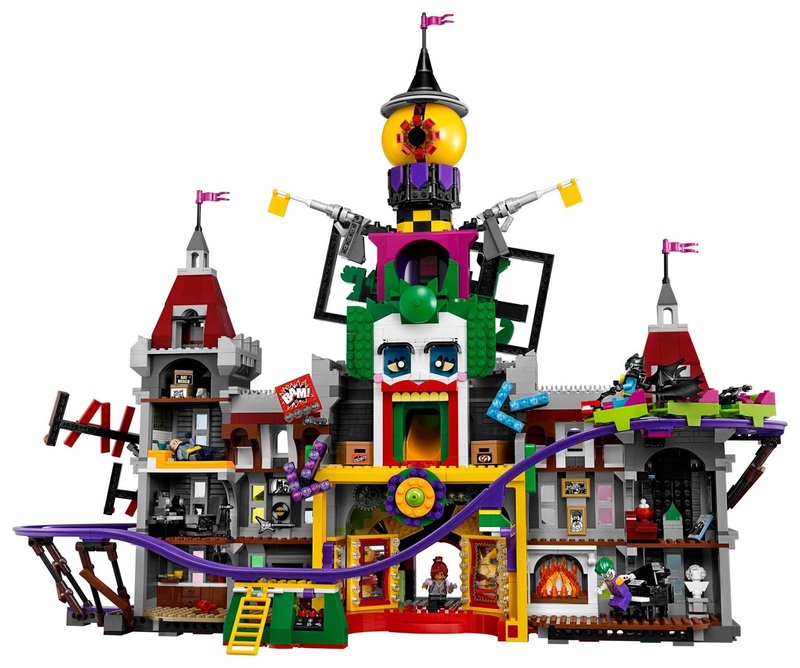 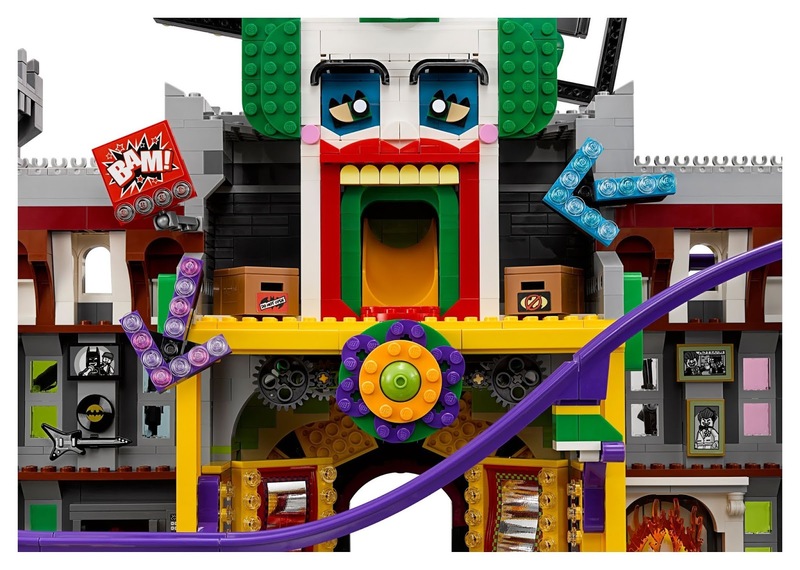 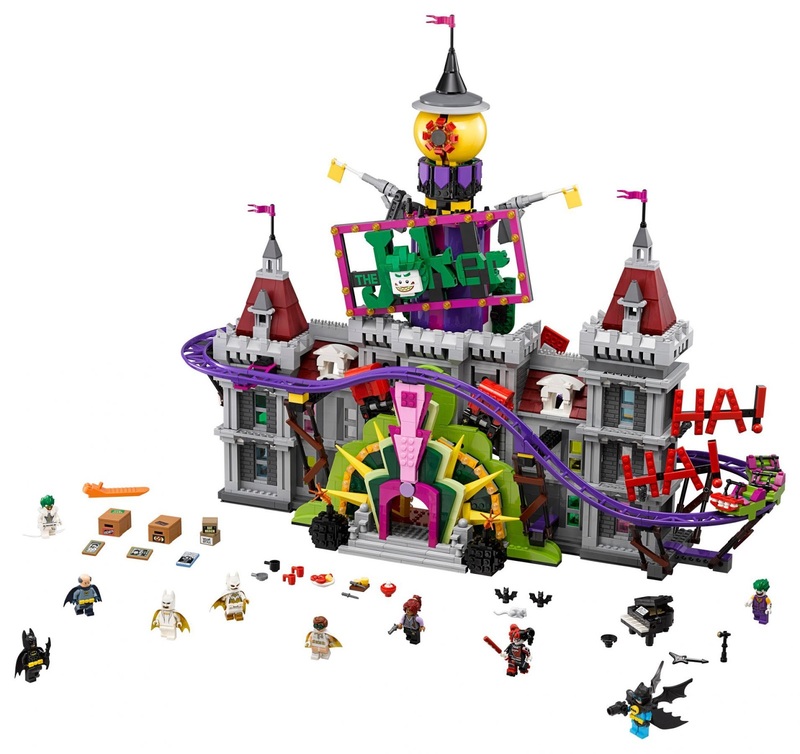 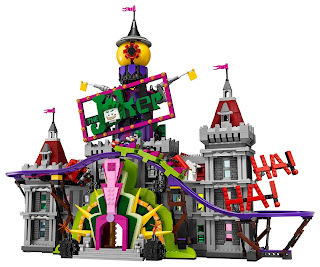 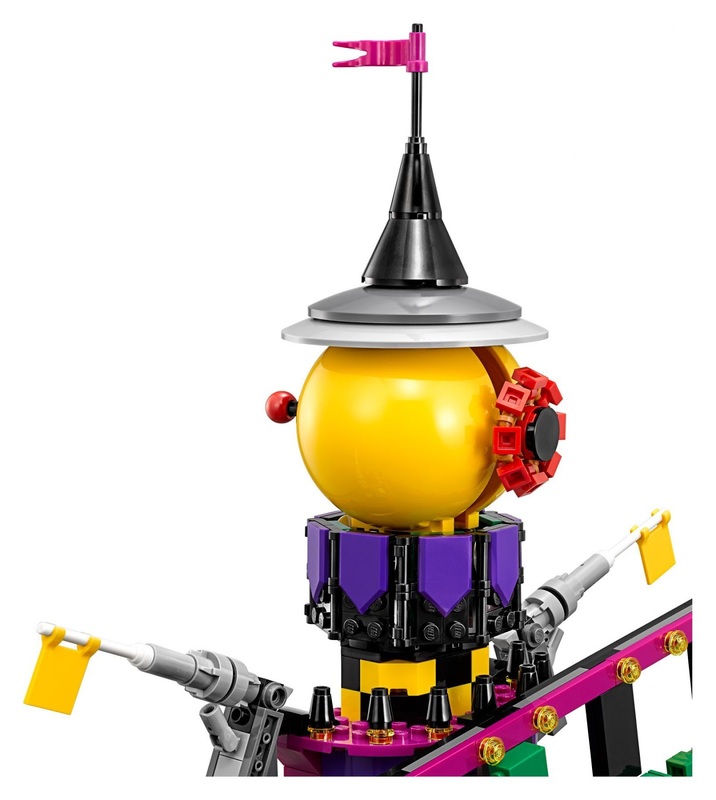 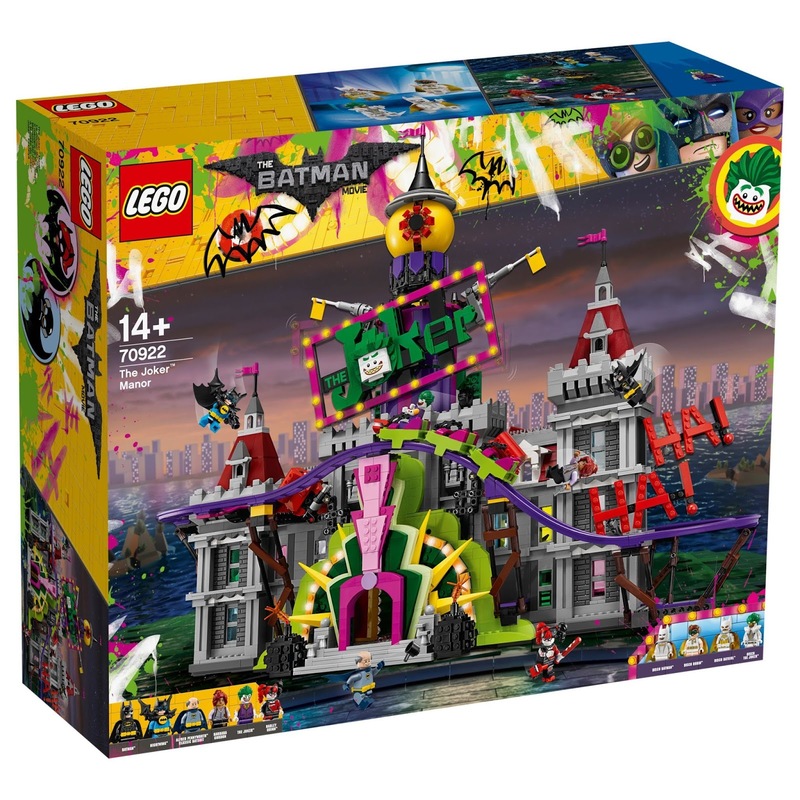 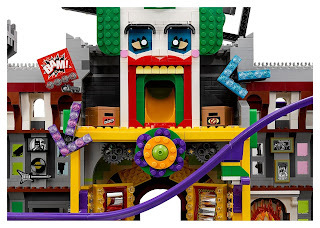 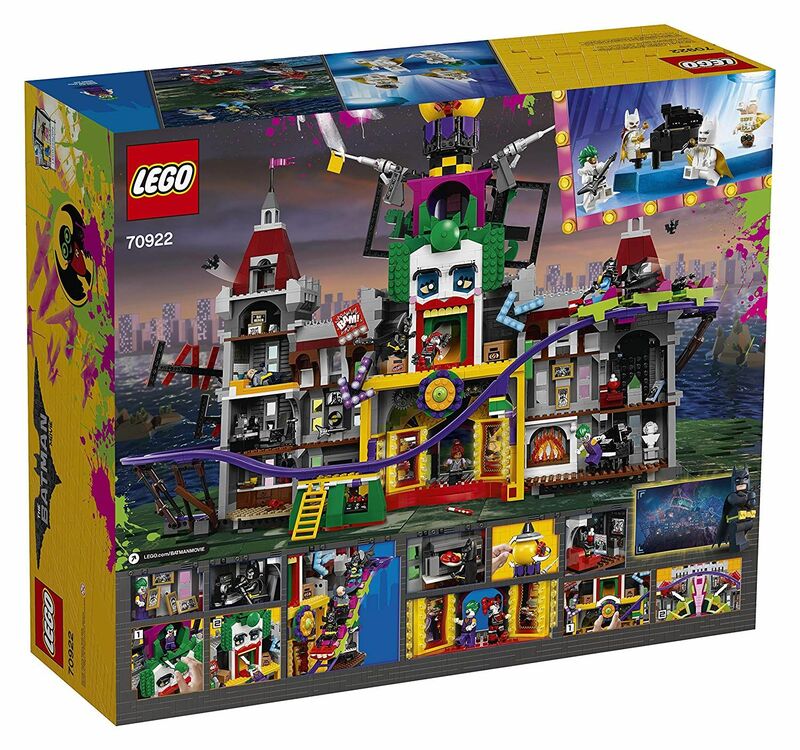 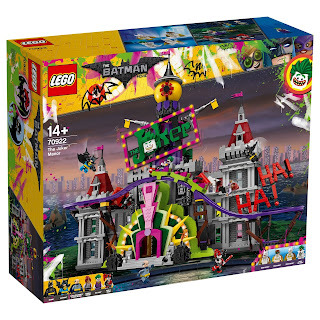 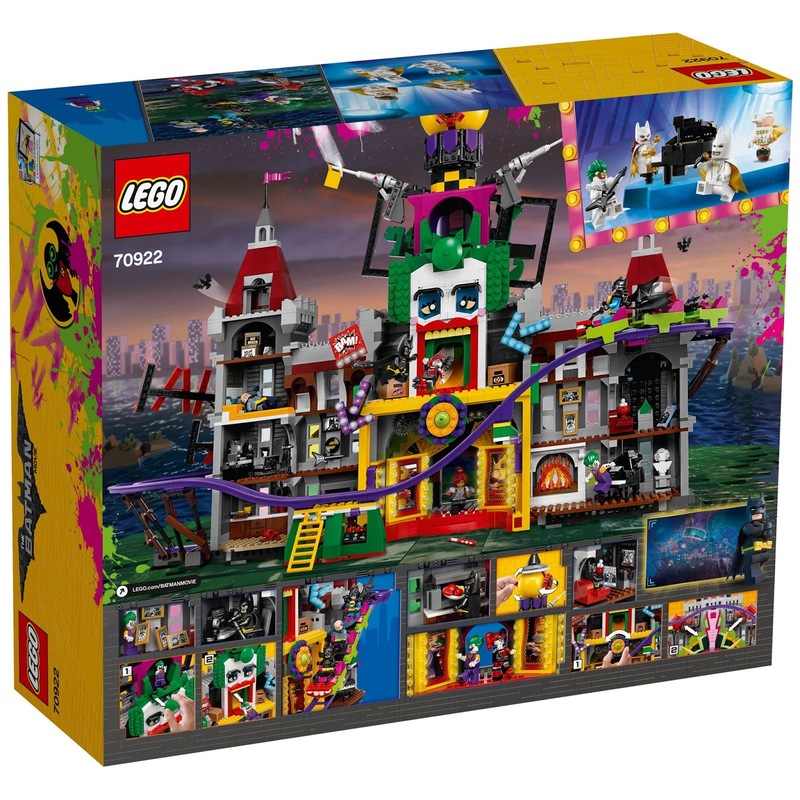 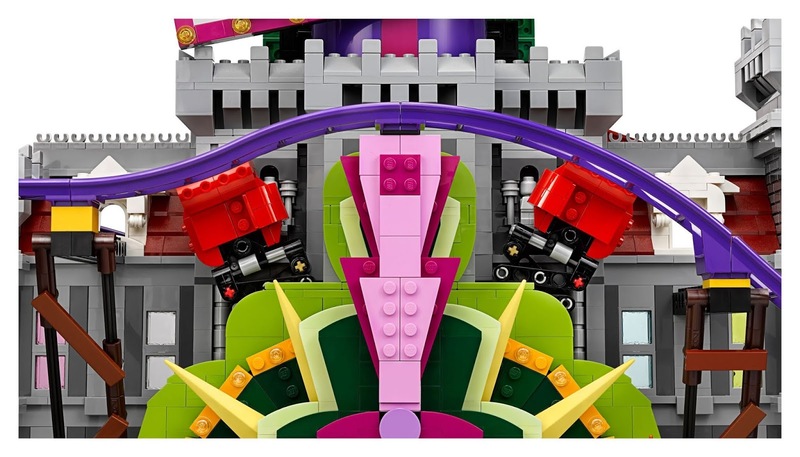 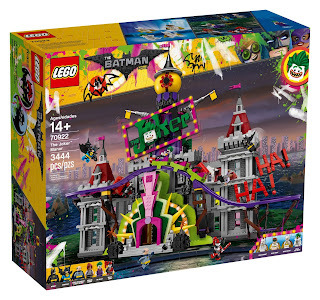 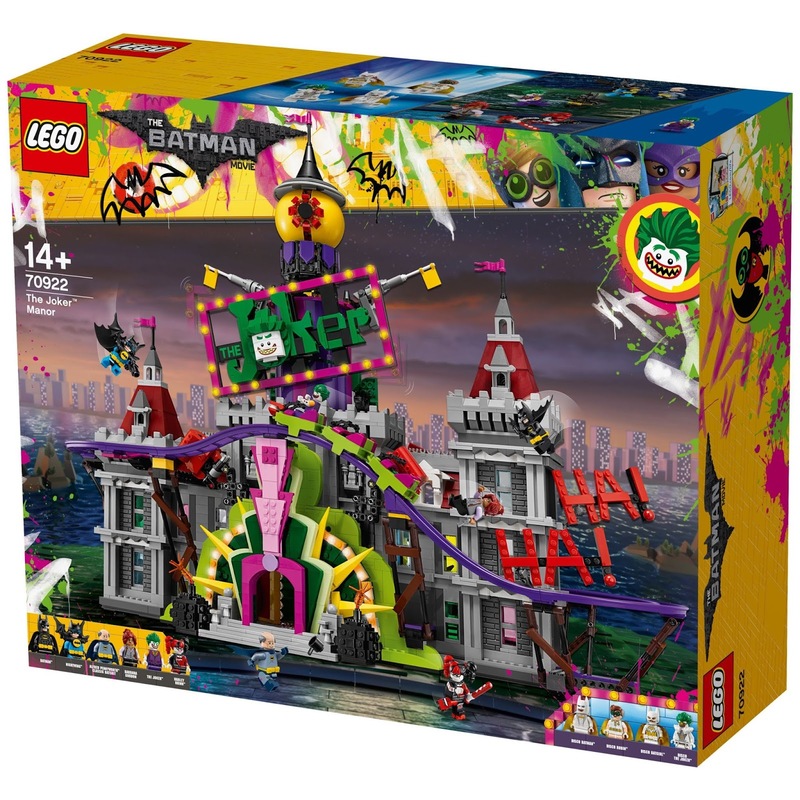 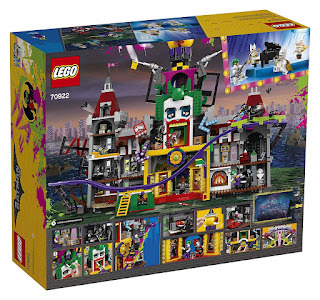 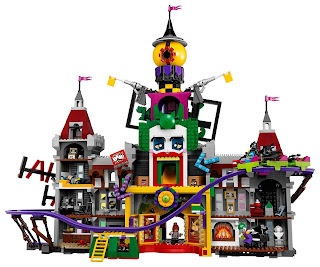 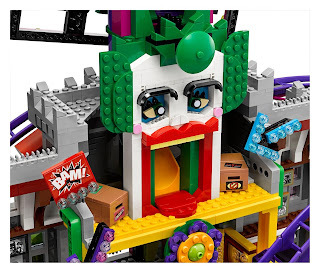 the manor has a grand entrance flanked by 2 buildable bombs with transparent spark style elements, 2 level and 3 level towers, turrets, flags on top, a rollercoaster track, a train with 3 cars with a minifig seat, a rotatable ‘big eye’ tower with lever operated iris to ‘look’ up and down, big buildable the joker head with trapdoor and slide, a rockable ‘the joker’ sign, a ‘ha! 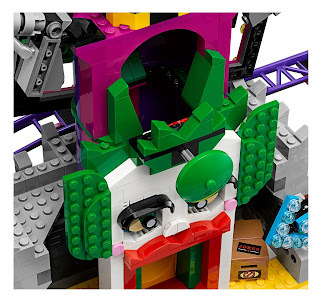 ha!’ sign and 2 wheel operated punchable boxing gloves. 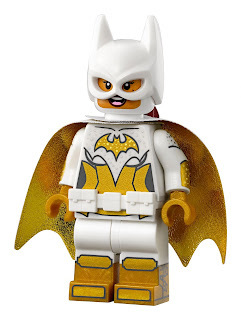 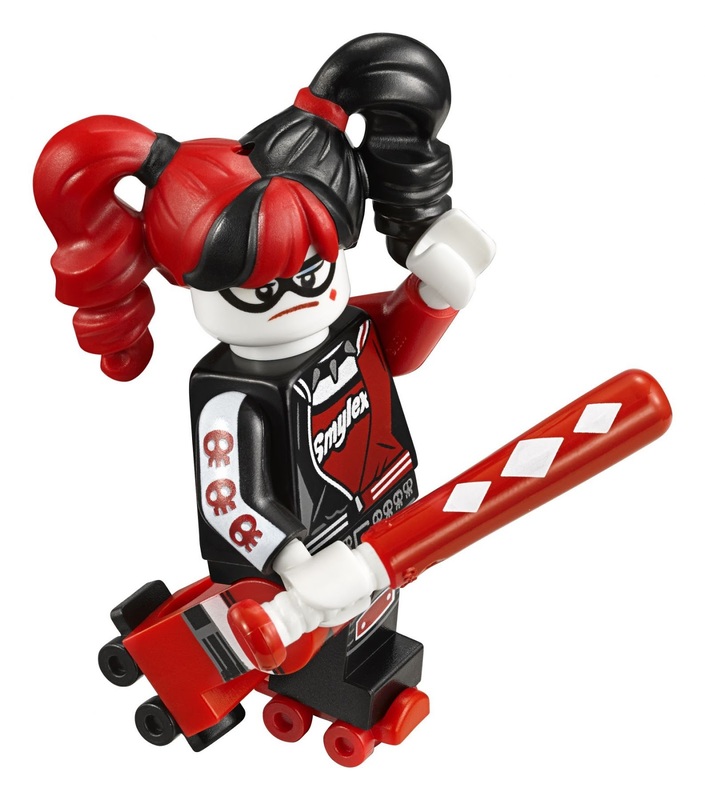 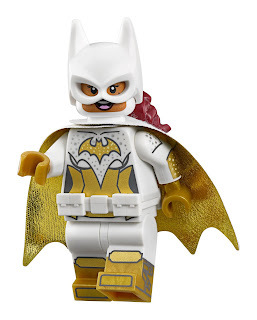 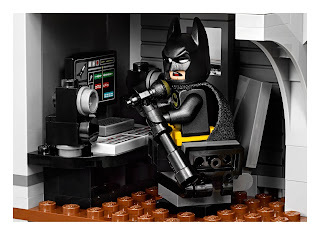 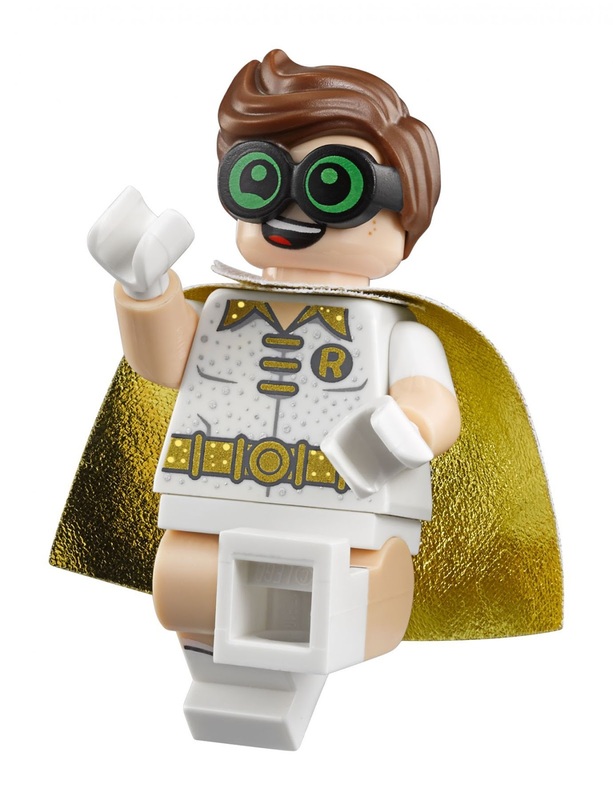 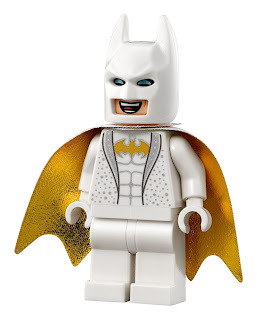 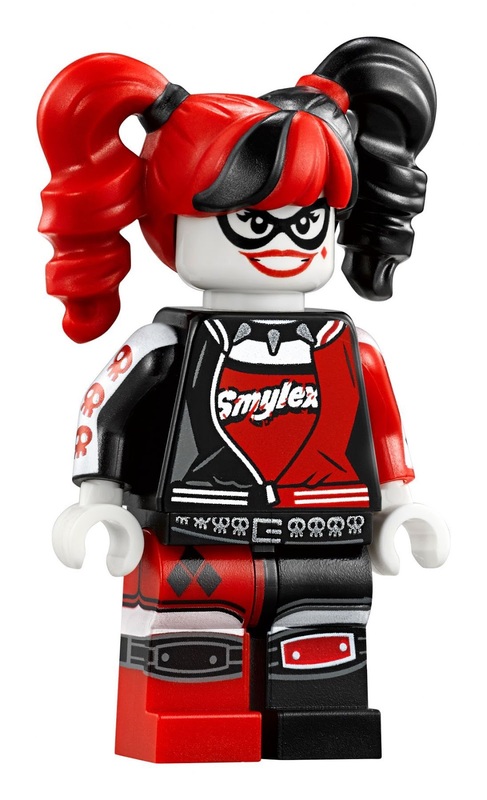 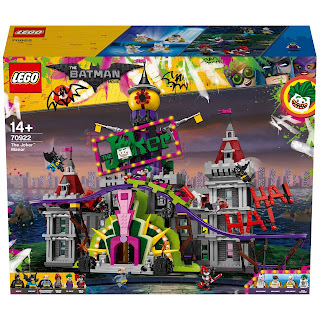 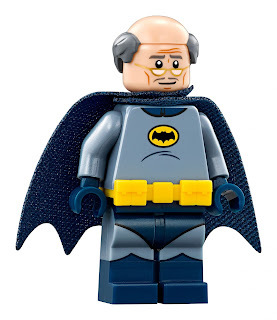 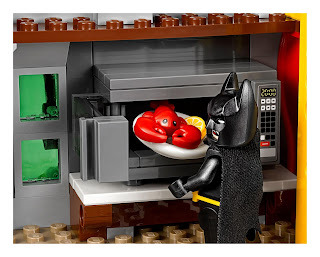 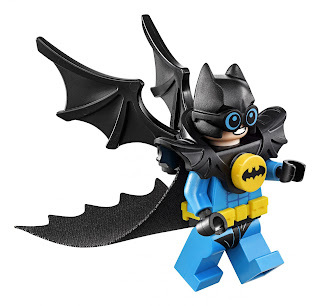 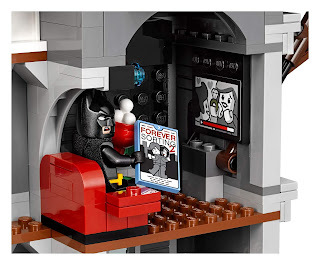 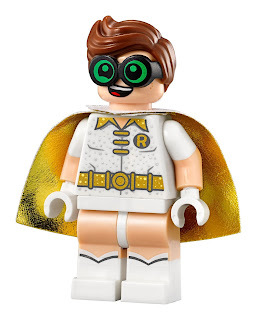 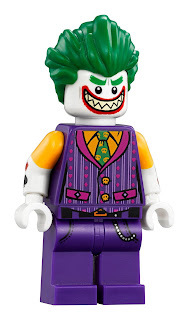 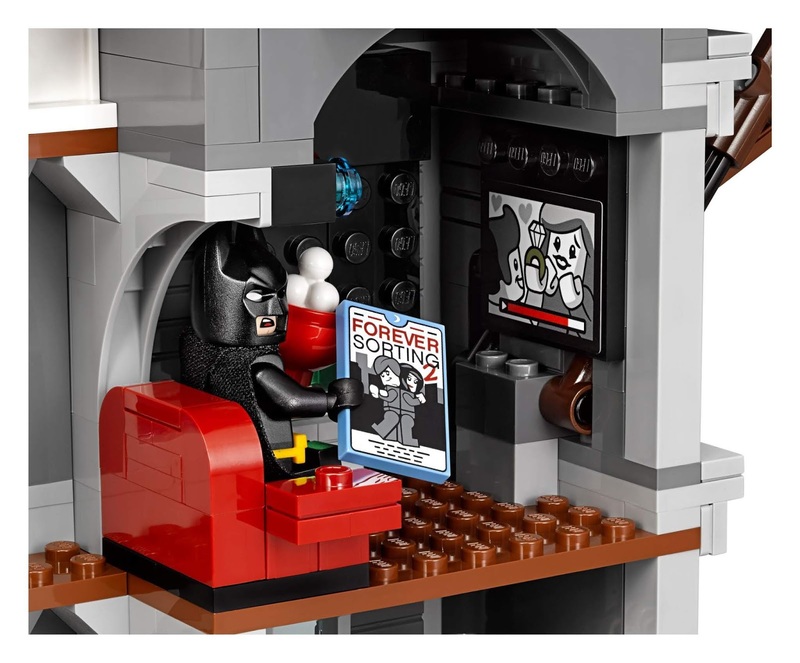 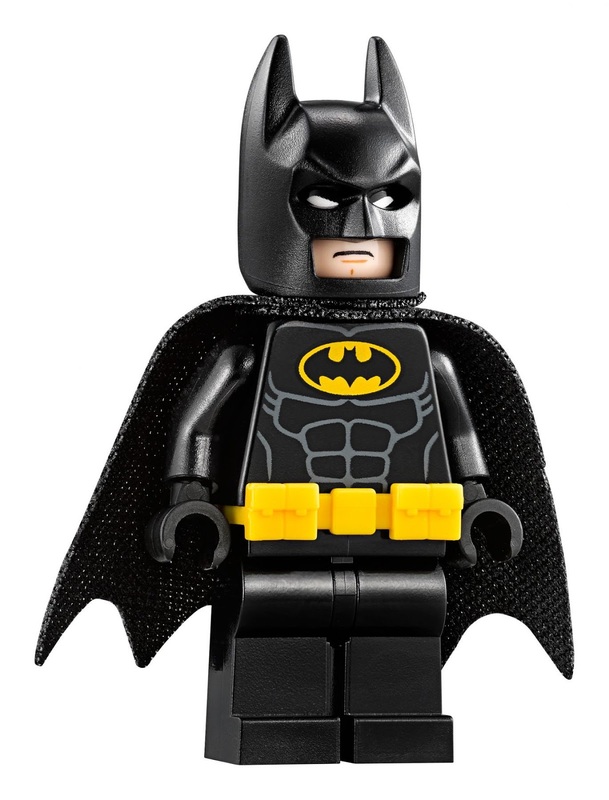 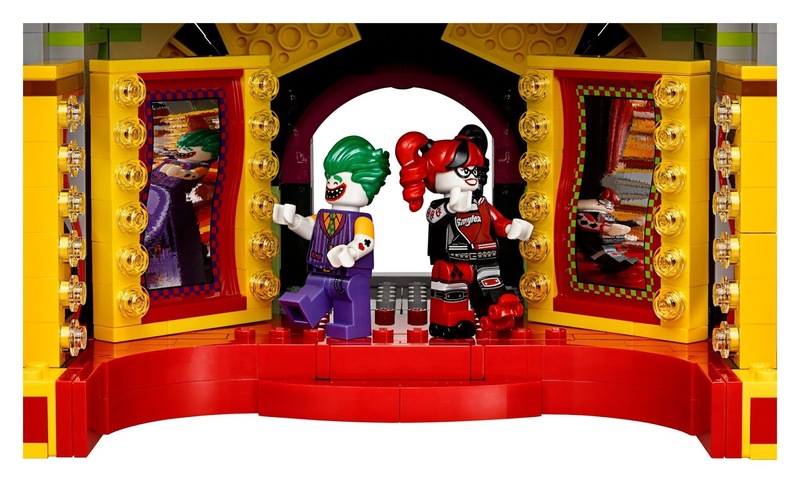 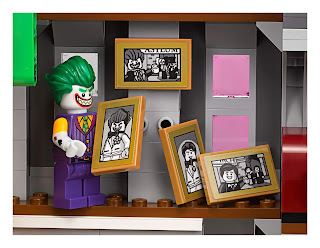 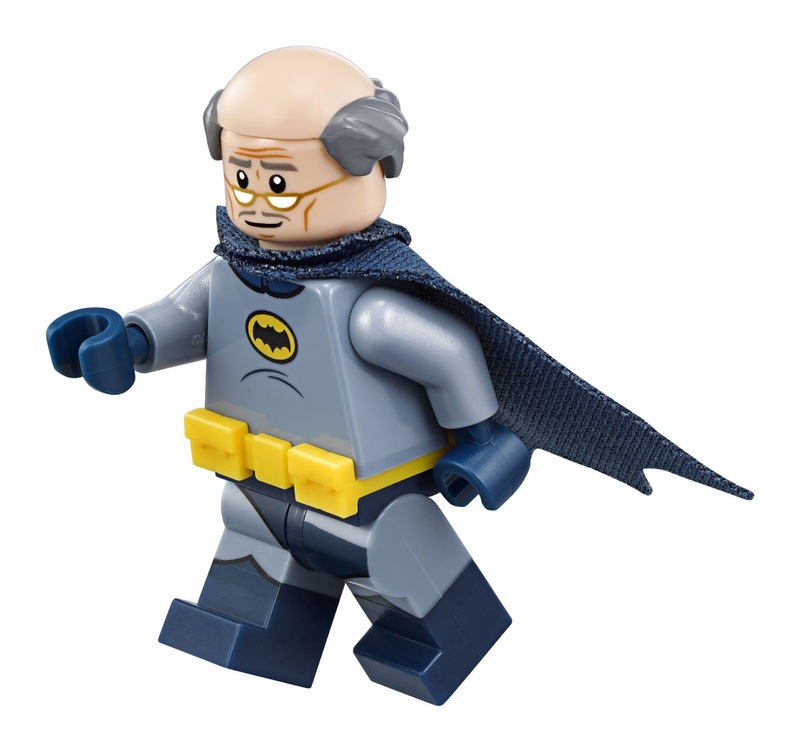 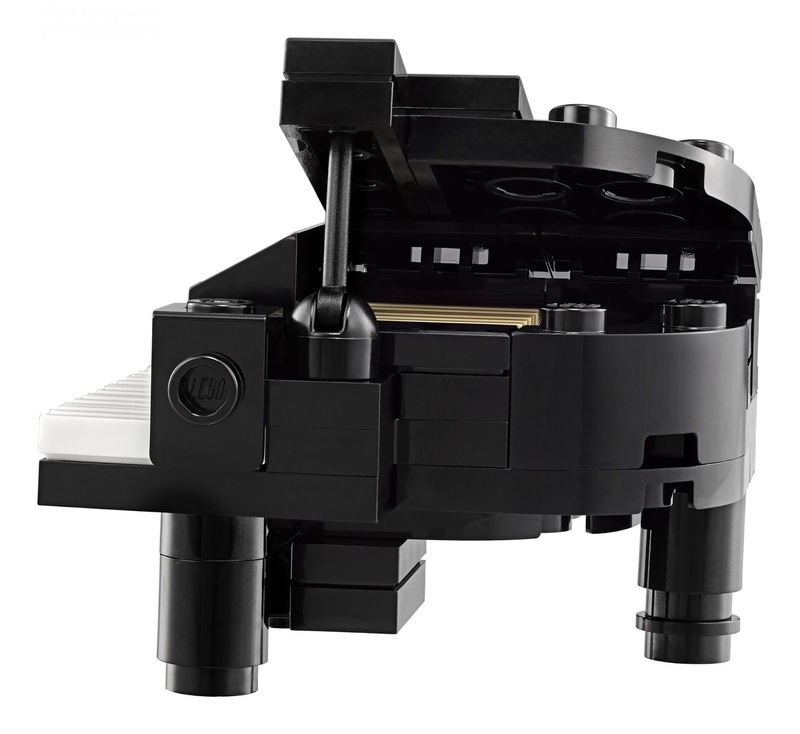 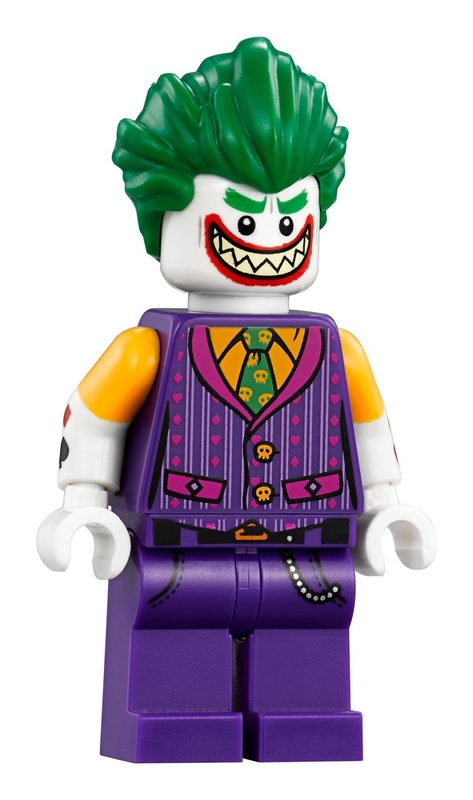 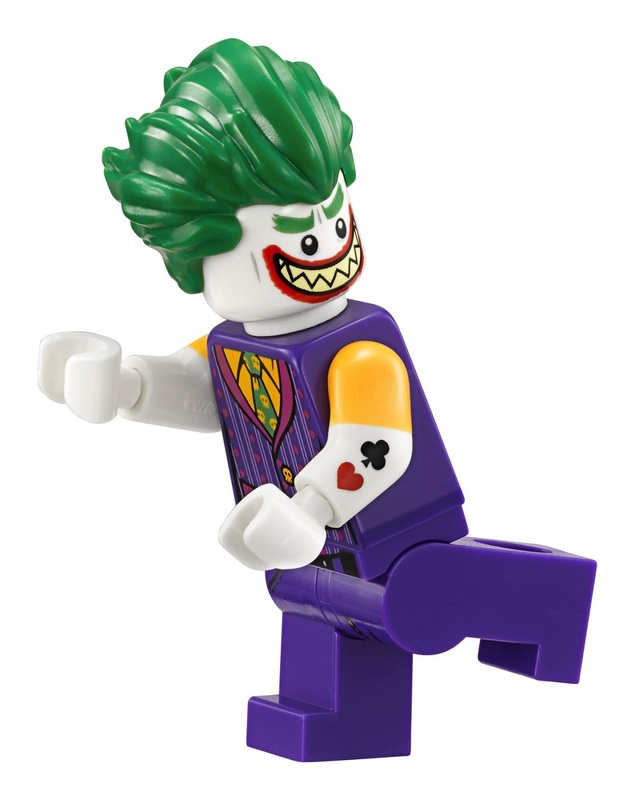 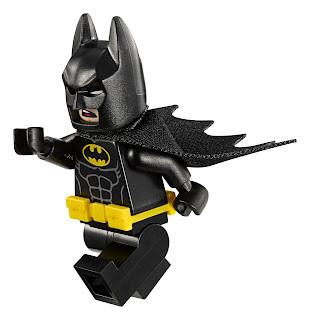 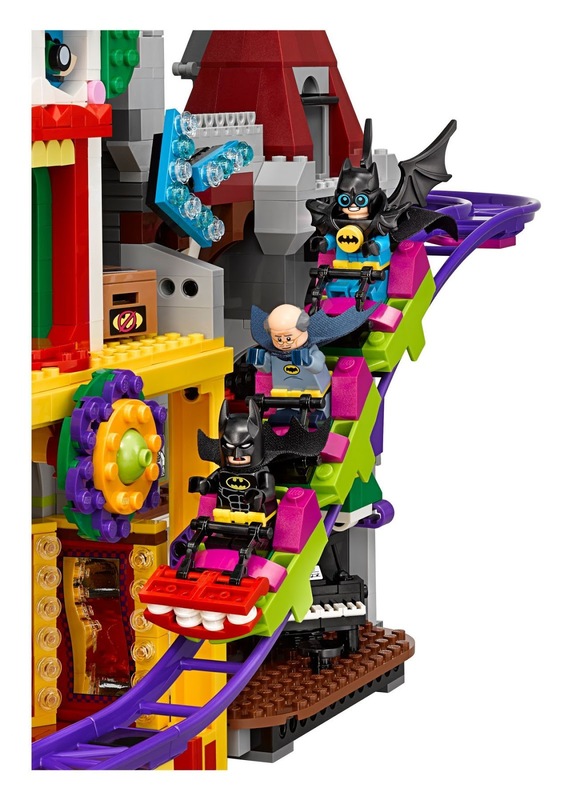 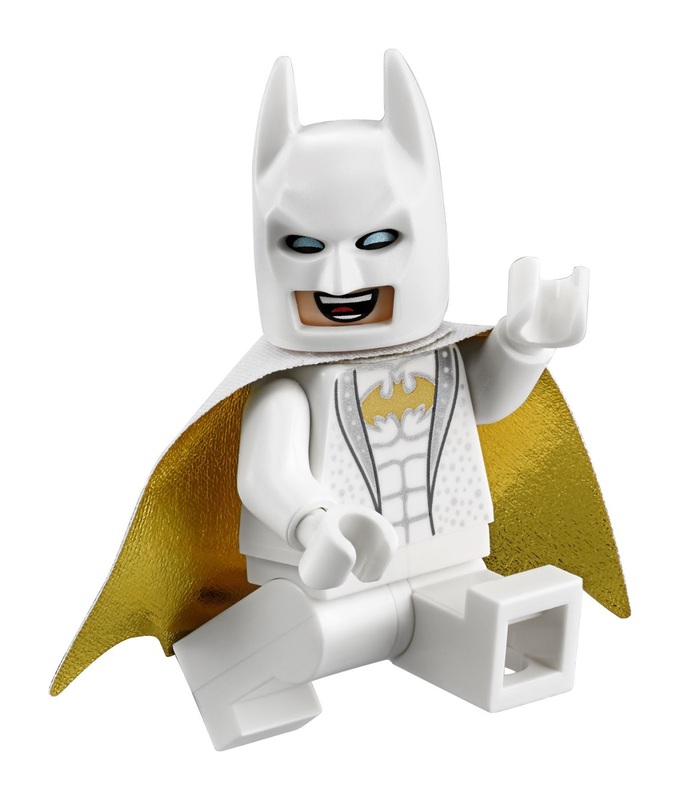 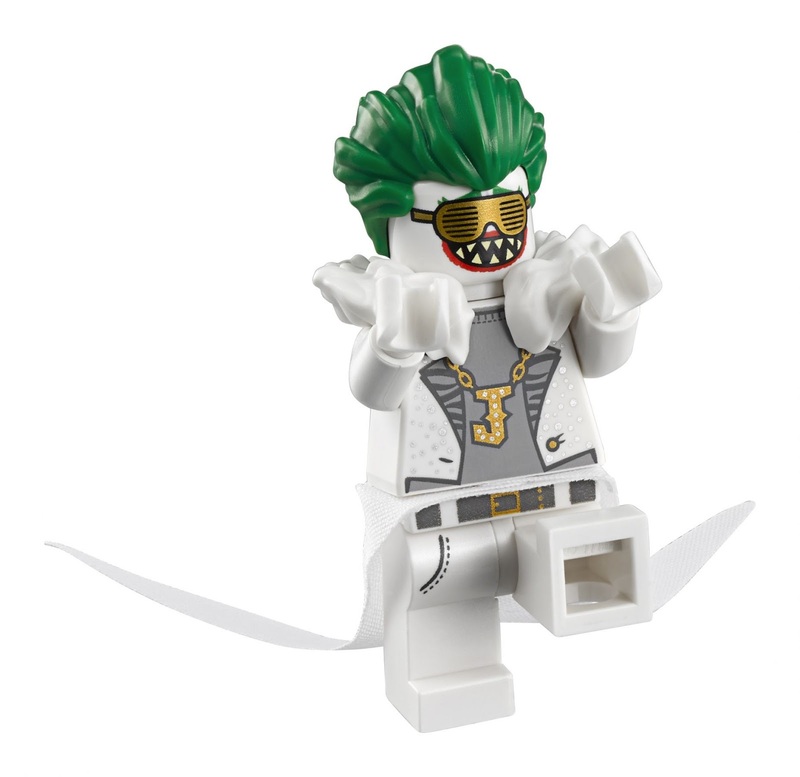 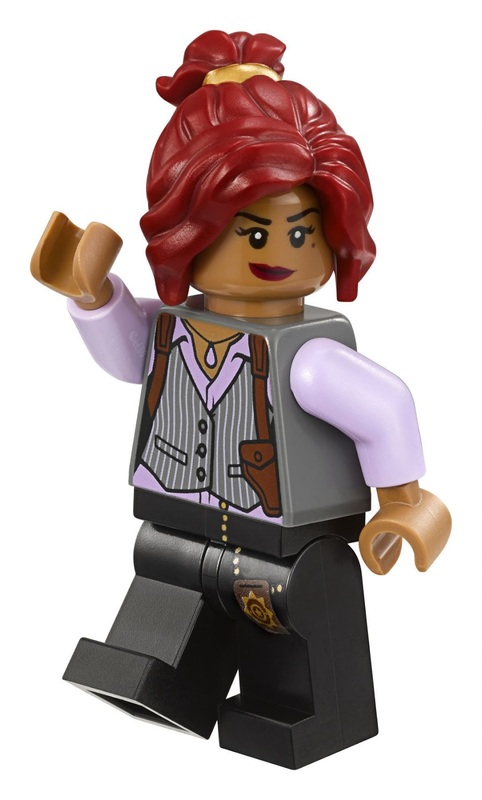 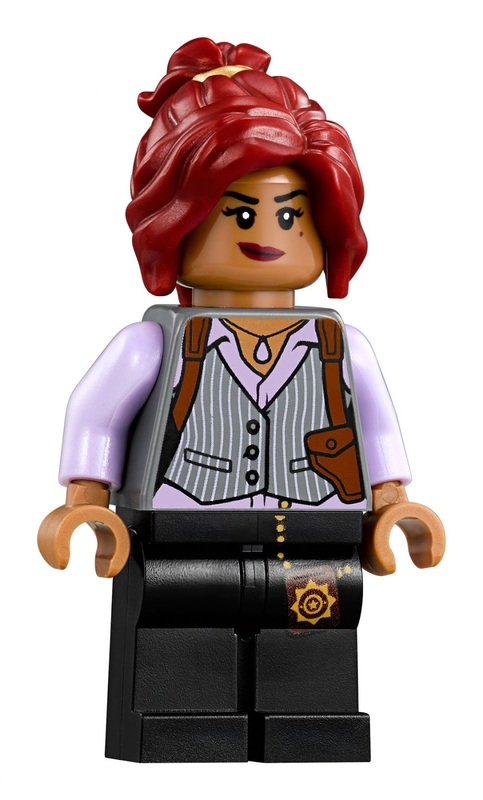 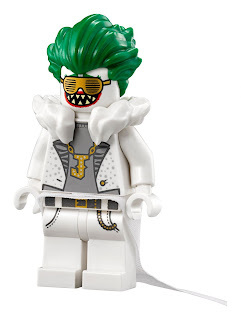 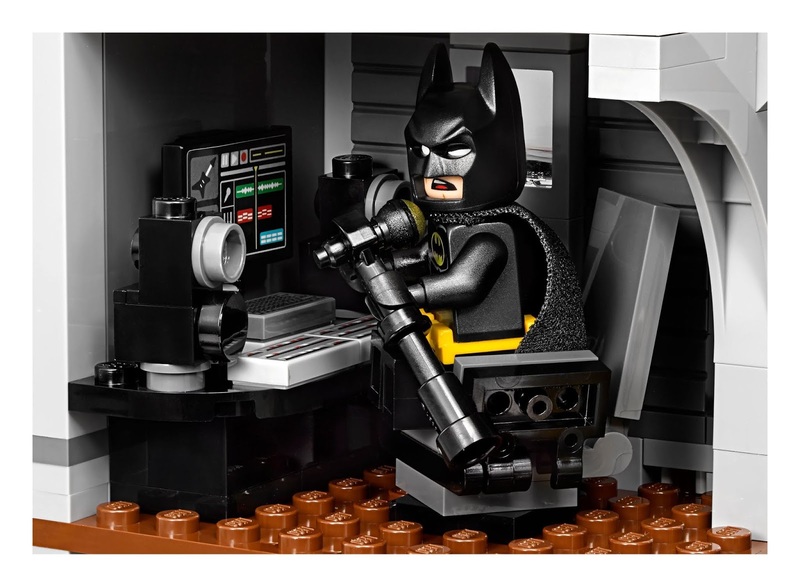 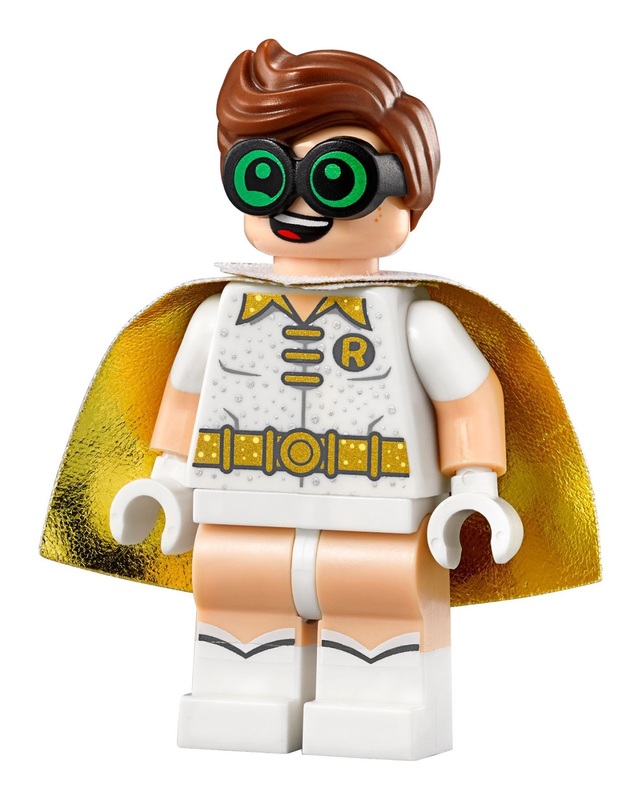 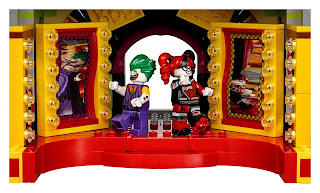 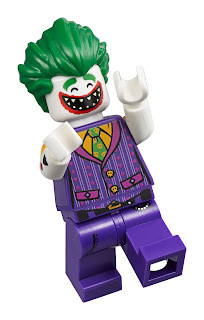 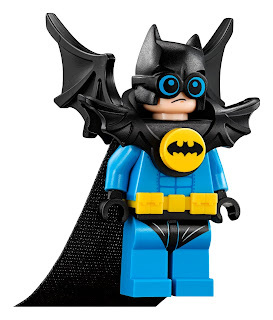 minifigs included a batman minifig, the joker minifig, a barbara gordon minifig, a harley quinn minifig, a nightwing minifig, an alfred pennyworth classic batsuit minifig, a disco batman minifig, a disco the joker minifig, a disco batgirl minifig and a disco robin minifig.